IYPs – short for “Internet Yellow Pages” – get a bum rap. Yes, they’re directories, not search engines. Yes, some of them are mere flies on the windshield of Google. Yes, we often harbor murderous fantasies when one of their sales representatives calls us on the phone. It’s for all these reasons and others that most business owners pay little attention to these sites. This makes sense on one level: these sites don’t have nearly as much “eyeball share” as Google does. But it’s a mistake. If you’re in a competitive local market, you’re going to want every edge you can get. More specifically: you’ll want every promising eyeball you can get (not to sound creepy or anything). On the whole, many people use IYP sites – partly because Google usually ranks them above or right below its own local search results. That’s why you need to know basically how these third-party directory sites rank their business listings: as on Google, on these sites there are visible businesses and invisible ones. You want yours to be in the first group. 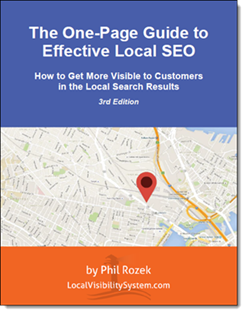 These sites influence your Google+Local rankings, too, but that’s another story. I recently spent a few hours trying to figure out what separates some businesses from others on 7 of the biggest IYP sites. I’ve listed the sites in alphabetical order, with the ranking factors for each underneath. 1. Reviews (AKA “ratings”). That’s it. One ranking factor. 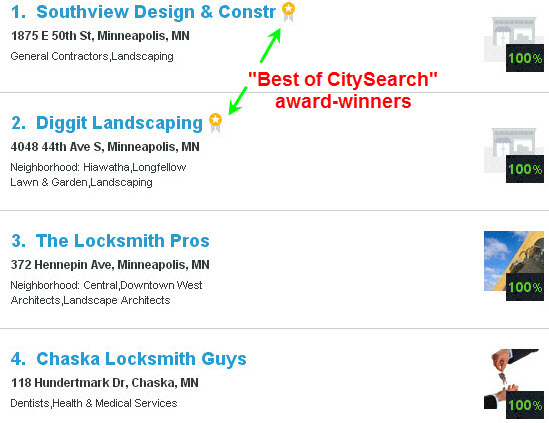 -“Best of CitySearch” winners (if there are any in a particular local market). -Then businesses that havereviews, ranked in descending order of “CitySearch score” and/or number of reviews (more on this in a second). -Then businesses with no reviews. Businesses that win the “Best of CitySearch” award tend to have some reviews, but I’ve seen winners that have 1 or 2, which leads me to believe reviews may not even be a factor in winning. My understanding always has been that there are judges – AKA “scouts” – who pick the winners, but I’ve always been unclear on the specifics (despite a couple of unanswered inquiries on my part). Whatever the case, BoC winners get the top spots. Slightly farther down the totem pole are all the businesses with reviews. All of them rank above all the businesses without reviews. How do all the businesses with reviews get sorted out? Well, that leads us to “CitySearch score.” It’s the equivalent of an “average rating” (like what you see on Google and Yelp). 100% is perfect. 75% may mean that 3 out of 4 customers gave you a positive rating – which they can do without actually having to string together a couple sentences in a review. CitySearch ranks businesses mostly by score, but also by number of ratings. CitySearch usually ranks businesses with 90% above ones with 85%, which in turn outrank the ones at 72%, and so on. You get the idea. There are some exceptions to this: Occasionally a business with a 90% CitySearch score will outrank one with a 100%. In these cases, the number of ratings also seems to be a factor: a business with 95% based on 60 ratings may outrank a business with 100% based on 20 ratings. When several businesses have 100% scores (which is common), it seems that the one with the highest number of reviews/ratings will be at the top. 2. Reviews. InsiderPages is similar to CitySearch in this way. All businesses with reviews outrank all the ones that don’t have any. Here, too, the businesses are ranked based on the number of reviews they have and by order of average rating (e.g. 5-star average, 4-star average, etc.). But unlike on CitySearch, here the number of reviews seems to carry a little more weight than how high the average star rating is. It appears quantity matters a bit more than quality, in this regard. 1. Being “Verified by Manta.” Once you create your Manta profile, they call you up to make sure your info is accurate. I don’t recall ever having done this with my clients (maybe once or twice…don’t remember), but I believe it’s free. 2. Business name. If the name of your Manta listing includes a given search term or city name, you’ll probably rank highly for it. But do NOT mess with your business name just to grab an extra edge: it may hurt the all-important consistency of your “NAP” info across the web. By the way, there’s no such thing as a “Manta review,” so reviews aren’t even part of the equation here. Probably all you can do to climb over a few competitors is owner-verify your Manta listing (again, with the caveat that I’m not 100% sure whether it’s free – not that it necessarily would be a bad use of a buck). 3. Reviews (?). This is a bit unclear to me: although businesses with reviews generally seem to outrank ones that don’t, sometimes I’ll click on a listing with a star rating next to it and the actual listing page for the business won’t show any reviews (I have a theory about this, though). I do know, though, that MerchantCircle is no stranger to the occasional shenanigan. It’s definitely a good site to be on, and you’ll want to make sure your listing is complete and accurate. I just don’t really know the extent to which MerchantCircle reviews help you on the site (or in your Google+Local rankings). 1. Paid results. SuperPages seems to have a ton of businesses on-board with “sponsored listings” – to such an extent that the “basic” listings often are halfway down the page or lower. 4. Reviews. Relative to other sites, SuperPages doesn’t have an enormous amount of review activity – though certainly it would be smart to make sure you get a couple reviews on it. In effect, this makes the other 3 main ranking factors I’ve identified a little more important. 6. Reviews by “Elite” members. The items in blue are paid, and the items with pins are paid as well but a lower cost package. It looks pretty random. I’m pretty sure that if you phone and talk to a sales rep at most directories, they’ll tell you exactly how the rankings are generated. Typically it’s paid level 1, paid level 2, paid level 3, then random non-paid with reviews possibly playing a role. They seem to randomize the various paid levels as well so that each business gets equal opportunity to rank #1 in their section. 1. Paid results. They’re everywhere. The only randomized results – the ones Darren mentions (above) – seem to be the paid results. The “basic,” free listings appear to rank the same way consistently – based on some of the ranking factors we’ve seen elsewhere. 4. Reviews. YP is an important site to your local-search efforts in a lot of ways – certainly if you’re in the US, but especially if you’re in another country. Even if you don’t give a hoot about how visible you are on YP, I do recommend getting at least a few reviews there. 1. Make dead-certain you’re listed on each of the above sites, spend a few minutes picking out the most-relevant categories you can for your listings, and try to get reviews on as many of the sites as you possibly can. 2. Although many ad packages are a waste (or an outright scam), don’t necessarily dismiss them out of hand. For instance, if there’s on IYP site where you have a ton of great reviews, getting more people to see that listing may pay off. 3. Whenever there’s an often-ignored to-do item that can set you apart on one specific site (like verifying your Manta profile), do it. Most of your competitors would rather kick back and shovel Pringles into their faces than take a few minutes to pick low-hanging fruit. Do you have any thoughts on / experience with the sites I mentioned or with others? Any advice or suggestions? Leave a comment! Great post as always Phil! I’ll add to the forum, Tweet and Scoop to help spread the word. Thanks a bunch, Linda (as always)! I agree with Linda… thanks for another solid blog post. I’ve been reading for the last hour and really love what you’re doing here, so I’ll share it too. Keep it up! Thanks! Phil, this is a very interesting area to explore. My observations very much overlap what you have outlined, too. Regarding Manta, the verification is entirely free, and better than all, you speak with a real human being but not with an automated system. The verification itself, as well as the overall completeness of the profile seem to be the most important factors there, together with categories of course. I think for the majority of the websites that have completeness-meter the completeness is an important factor. Regarding Superpages, it is ridiculous how many ads they have. In some cases there are ads even on 2nd and 3rd page, and each page has 20+ listings… This is insane. I don’t really think a non-paying business could get any noticeable traffic from them with a free listing. All the websites from the CityGrid network seem to value reviews and ratings very highly. Once again, thanks for sharing your observations! Thanks for weighing in (as always), and for the extra detail! Your comment on Greg Sterling’s post was extremely helpful. As I mentioned, I wasn’t 100% sure about whether Manta verification is free. Good point about SuperPages. I think a free listing might bring a trickle of traffic at most. I’m not even sure the paid listings would deliver much, except maybe if you’re one of the top-3; as you say, a crazy number of the listings are paid. Stellar work once again, Phil! I recently started a paid campaign on Yelp! for a client to see what kind of results it would generate. Even though they have a 4 star rating with 33 reviews they are being filtered out for their keywords by Yelp’s algo. Weird to me because even the reviews have their targeted keywords in them along with their actual business name. I tested an ad with a customized message and bought 2 clicks a day at $1.50. I am assuming that we are getting a decent amount of search inquires as they are reporting that I am getting more than just 2 clicks a day for the $3 total. Just food for thought for businesses that are having a hard getting exposure in yelp for their keywords and might want to dish out a couple of bucks a month to get noticed on there. Thanks for your compliments, and for your intel! BTW, what you just told me would be a great post in this thread at Linda Buquet’s local search forum. Cool, just posted a response. Thanks for the heads up! Awesome. Thanks again for weighing in! So it’s either pay to play, or get some reviews.. Thanks for sharing the insights, observations, and first-hand experience, great post. I agree with Nyagoslav on Manta, makes you feel good to talk with someone. Great free attributes to listings and they do a lot to promote themselves, paid granularity of listings seems to be the trend. Preaching to the choir but definitely a best practice for any listing is to build everything out 100%… Which certainly does kind of require the manual audit following any bulk distribution/partner/affiliate interface. Merchantcircle is another best of breed too IMHO. Agreed on the ranking factors outlined, and a pure guess, but maybe connectivity with other local smbs factors in somewhat there, also the ability to post a blog, rate other businesses…etc. Not enough proof to back that up at all. 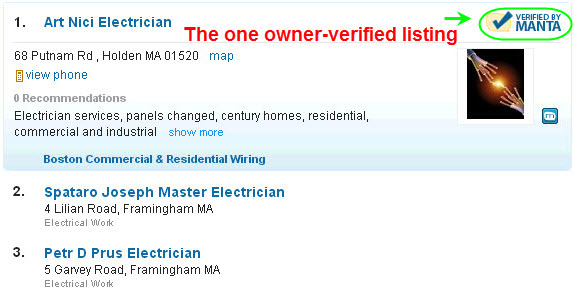 On the verification side, Local.com was a real person too – minor hiccups in dupe consolidation/removal. If Kudzu would be included in the IYP list they show action too – MC, Kudzu, & Manta all have widgets to easily integrate review collection/communication, maybe Insiderpages too can’t remember. 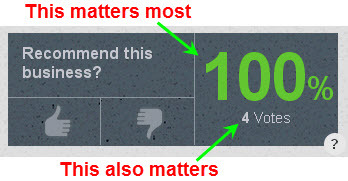 Yelp good and bad, same for YP.com – confirm targeting (areas served) with YP, multiple times with verification. Sample (good performing – relative) Superpages avgs some random clicks, with several hundred impressions each month with a free listing in medium size market. Decent integration too. Anyone else having trouble confirming (re-verifying) existing CItyGrid (Citysearch) listings? Great data Phil! No surprise I am sure, but most pay no attention to this kind of stuff. Hell, I don’t even pay attention to my Bing or Yahoo rankings. Google is my only focus. Unfortunately, there indeed is traffic to be earned from these sites, and even minute traffic across many of these over the span of 1 yr WILL make a difference in yours or your clients bottom line. Bravo for giving some us of us much needed wake up call. More great info from you, Phil, so thanks. As far as Manta goes, I recently verified two local businesses and the only thing that had to be done was call (from any phone) and enter a code that they provided online. That was the extent of it. It also amazes me how much some of these online directories charge for a “premium” listing. Some may be worth it if they’re large and reputable, but most are just a huge rip-off. The worst part about getting listed in a directory? All of the ensuing emails soliciting one thing or another. Thanks for your compliments and for the great first-hand insights on Manta. As you say, many “premium” listings usually are a great deal…for the advertising companies. I’m sure there are good fits for pretty much any type of SMB out there, but obviously it’s going to take some trial-and-error. My weapon of choice is AdWords, but that’s just me. Couldn’t agree more about the deluge of emails. That’s why I often ask my clients to set up a dedicated Gmail address for purposes of citation-building – so as to keep the junk a little more compartmentalized. This article is exactly what I was looking for. Thanks Phil for writing it. I am a small biz owner that was doing great in the organic listings and Google Local / Places listing until recently (April) when a few of my sites numbers started dropping quickly. So I have been citation building lately in hopes to get more customers. Yelp and YP especially. Thanks again! Hey Robert, thanks for your compliments. It sounds like you’re exactly on the right track. Of course, the citations work you’re doing and in general any work done on third-party sites can help get your Google rankings back up, so it’s really a good way to kill two birds with one stone. Great info in that write-up – thanks! Regarding the first of the two issues you mention, Mike Blumenthal did a great post back in June on the sketchy-sounding calls from Google. Regarding the YP scams, I know exactly what you’re describing. Just this past week my fiancee got a form with the “walking fingers” on it and asked me whether it was a bill. I looked at it for 5 seconds and threw it in the recycling. At least the Scott factory can turn it into some useful toilet paper. For better or worse, being visible on (legitimate) directories is absolutely necessary for your local rankings, but it does take some finesse to keep from getting scammed. Of course, unless you close down your business and pull a Thoreau, there’s no way to avoid coming into contact with scam attempts in general.